This is a beautiful tumbler!! I love the plastic in the lid. 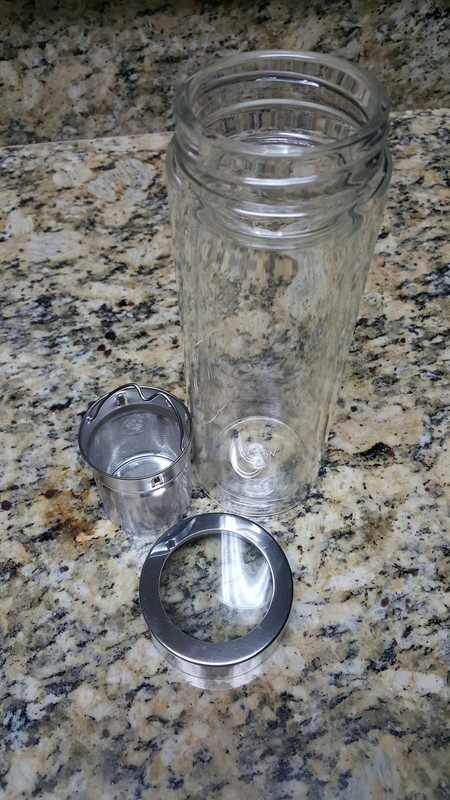 I think it goes great with the double walled glass!/This is the only tumbler I have see. With no plastic components. The only drawback I see would be that the basket has no lid. If it were a two piece with a lid and a basket, it would be easier to take out after infusion, if you chose to, while you were out and about. But as I understand from the company, you are meant to put the tea under the basket and filter that way. Here is where you’ll find it!